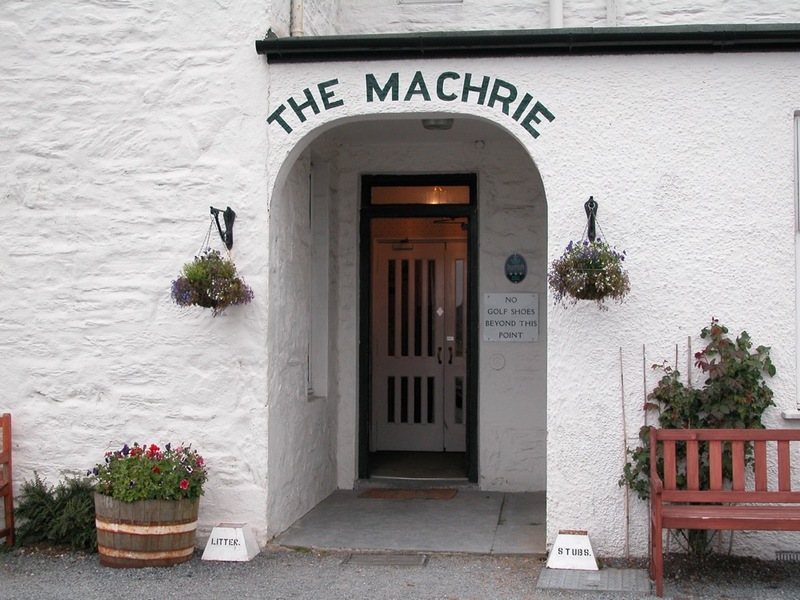 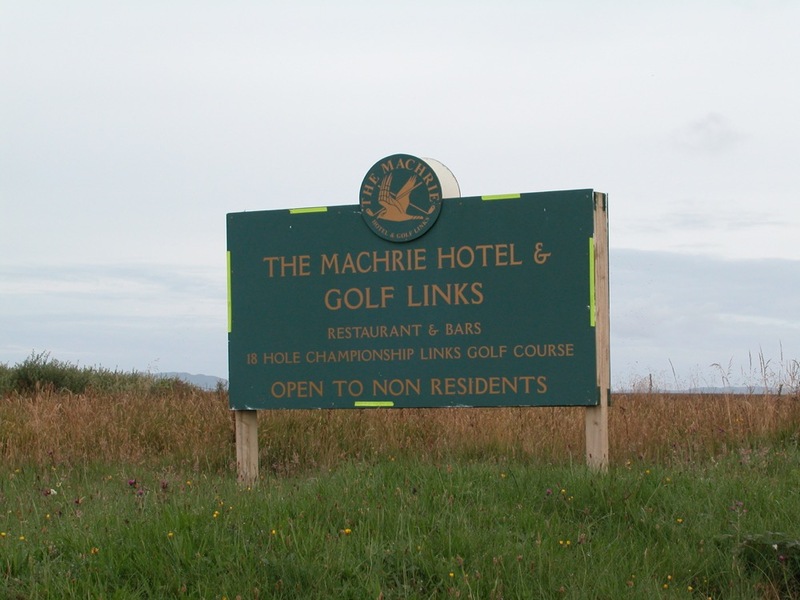 The Machrie Golf Links may well be the Scotland of your dreams, in fact The Machrie might be a golf course that is beyond the wildest of your dreams! 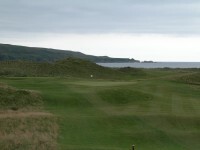 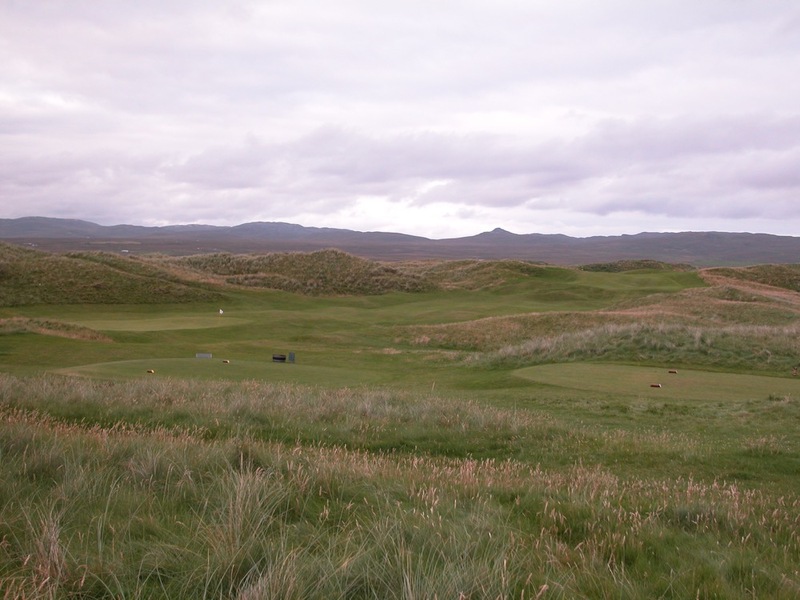 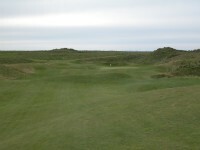 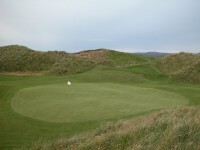 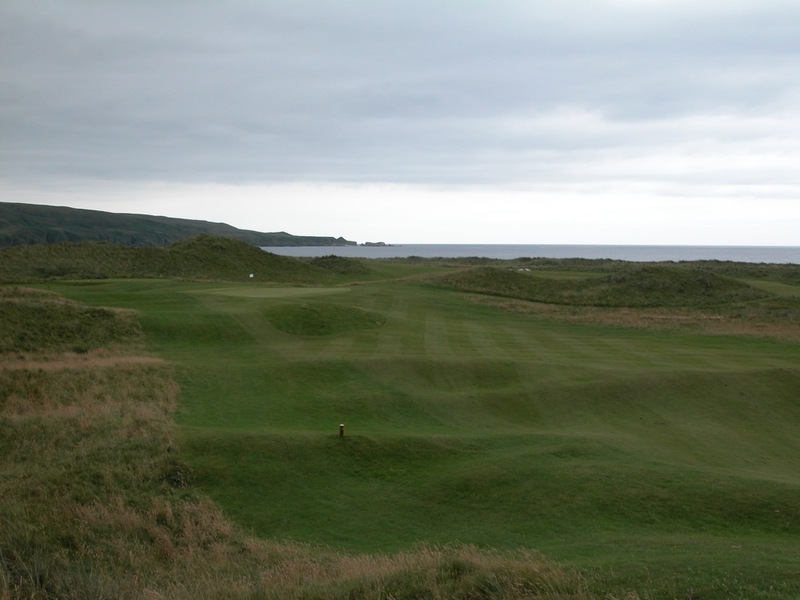 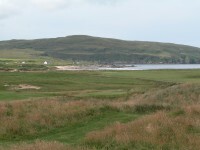 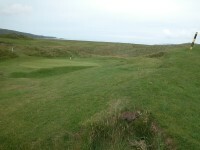 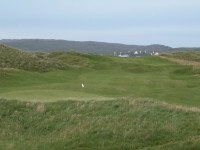 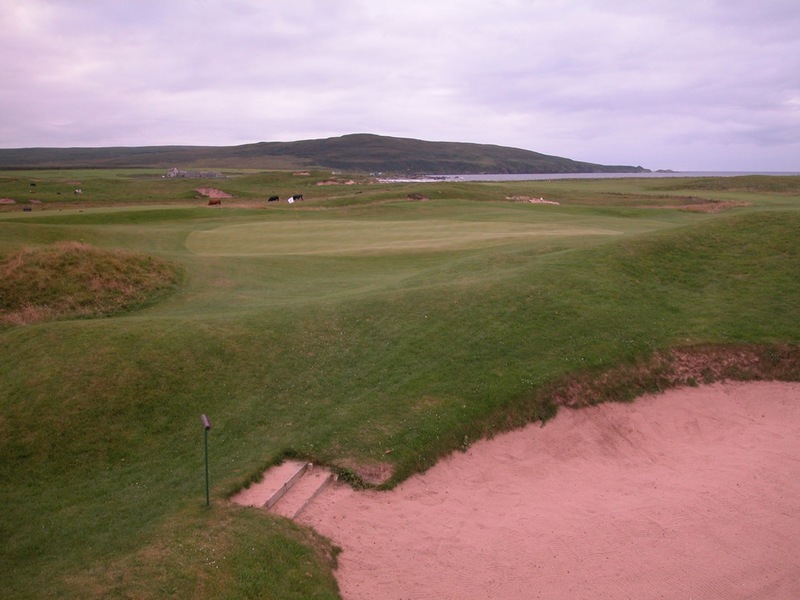 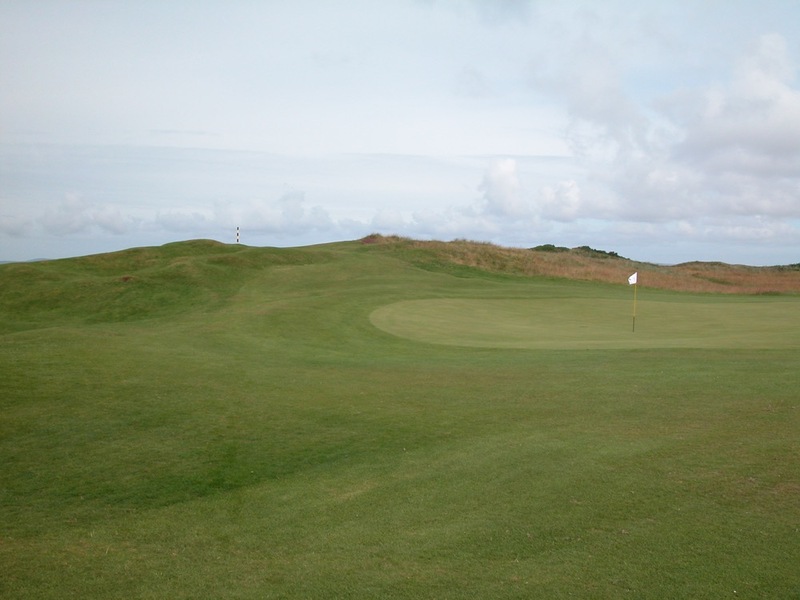 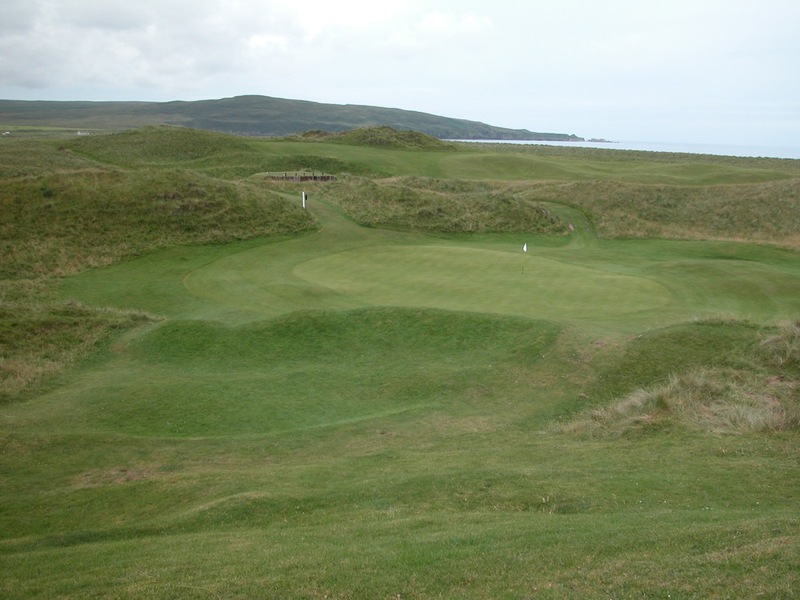 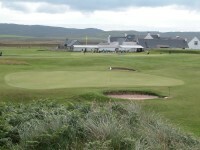 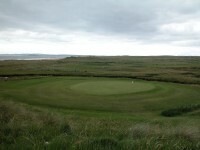 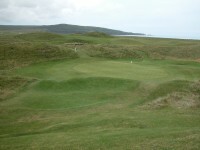 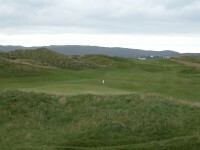 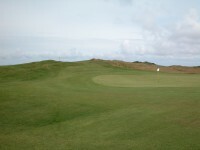 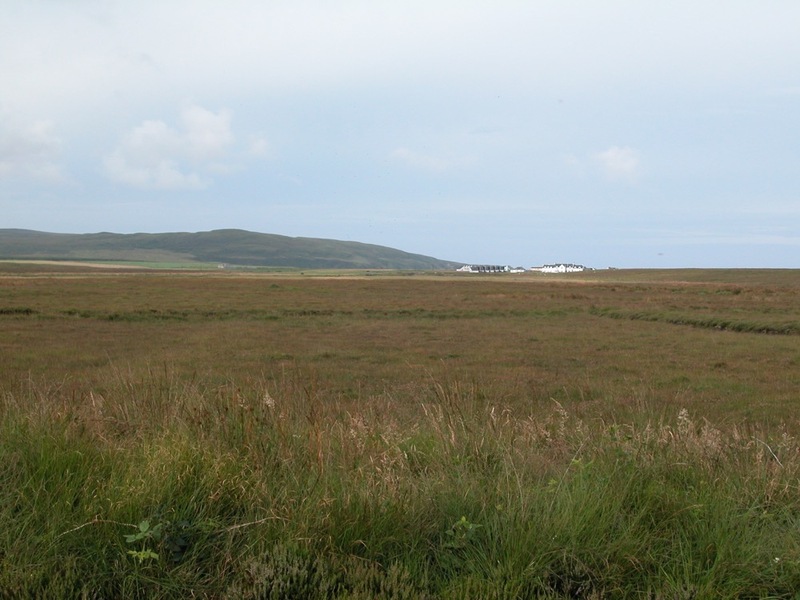 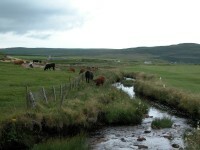 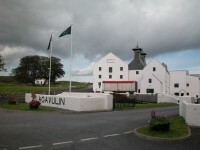 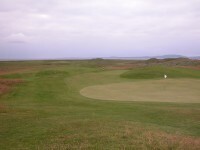 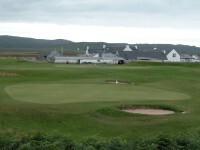 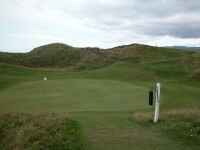 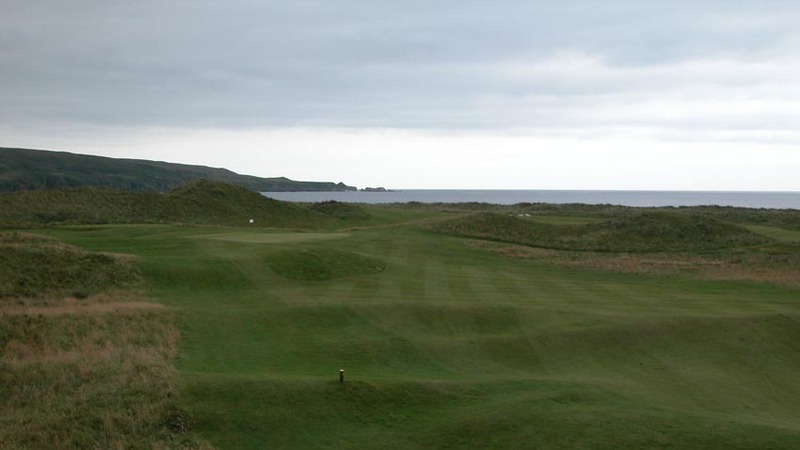 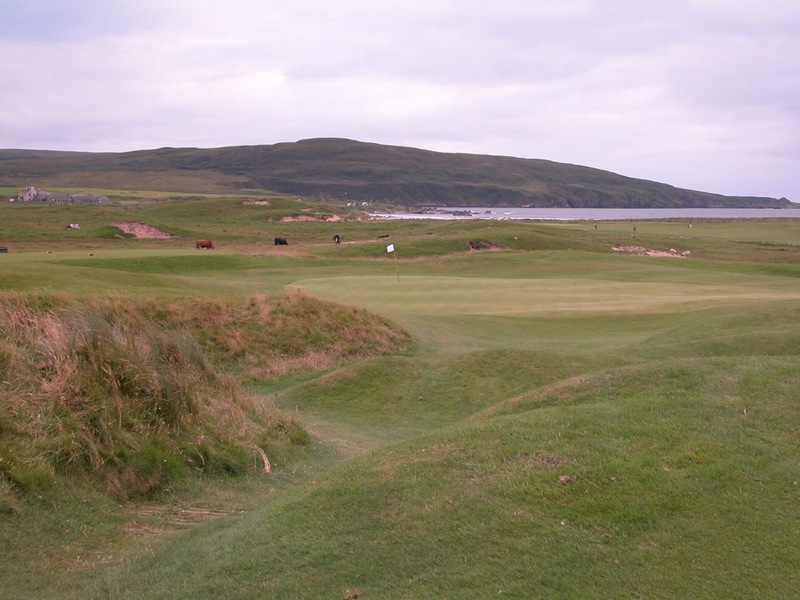 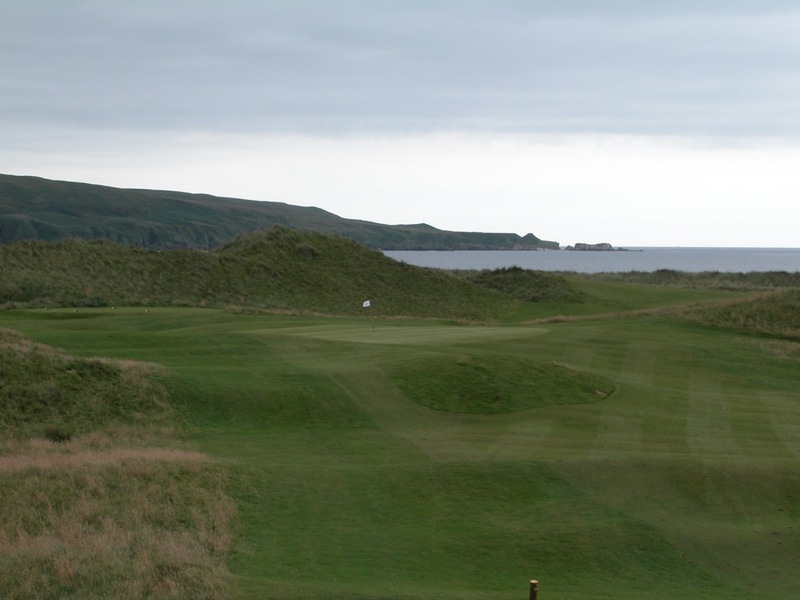 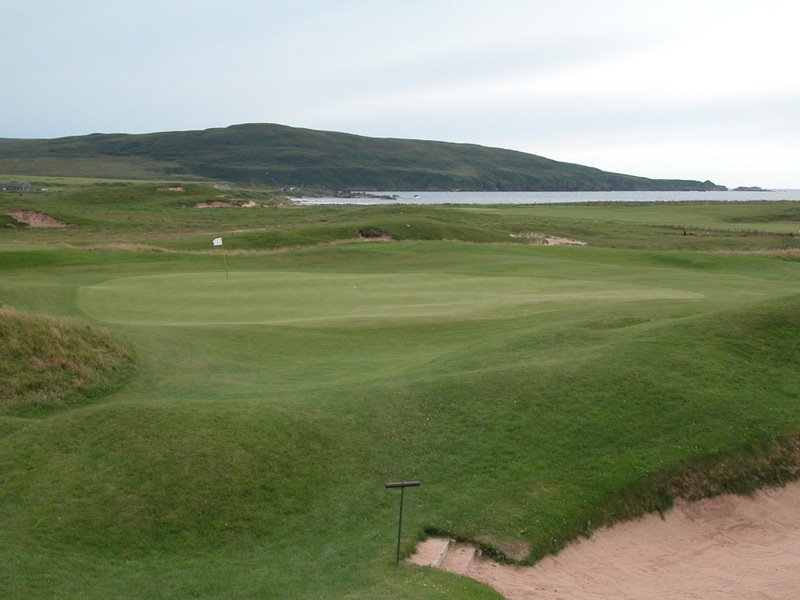 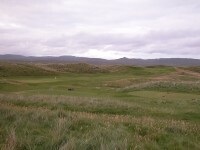 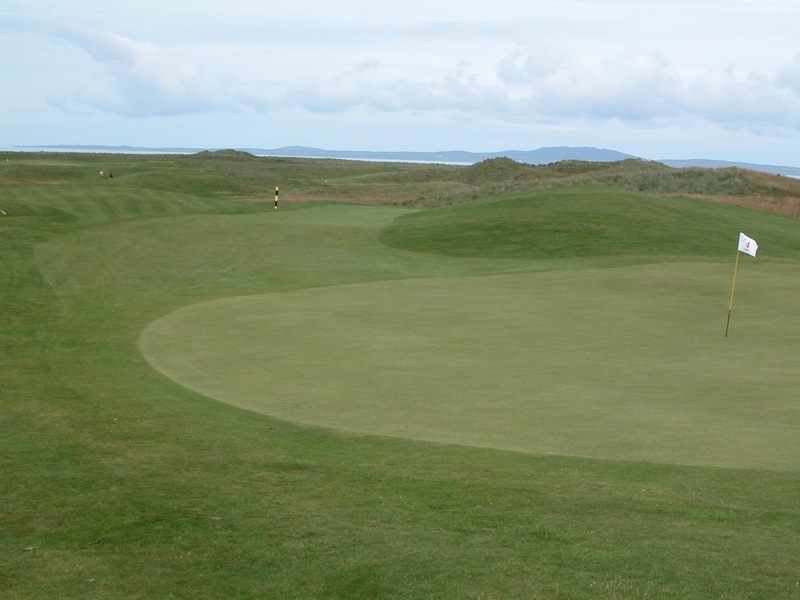 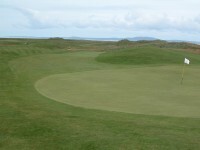 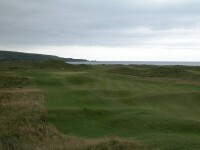 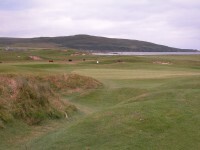 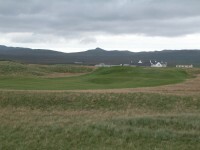 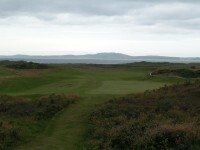 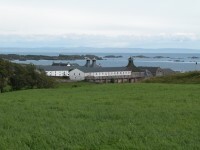 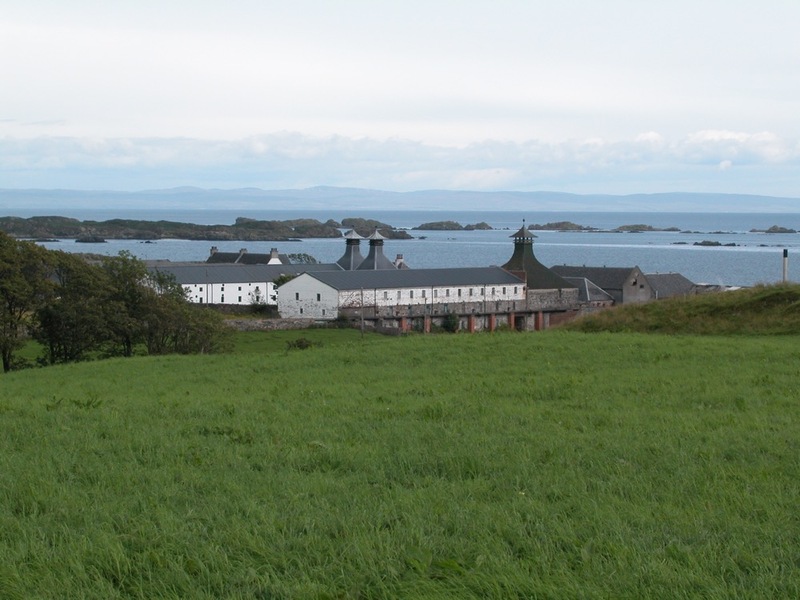 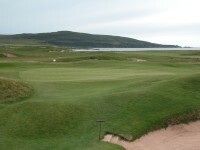 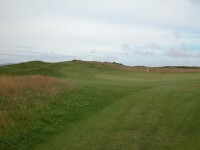 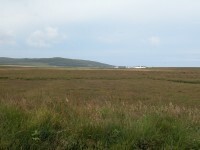 To find The Machrie Golf Links, take a ferry to the island of Islay off of Scotland’s West Coast. 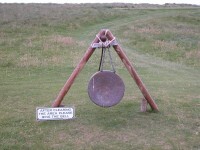 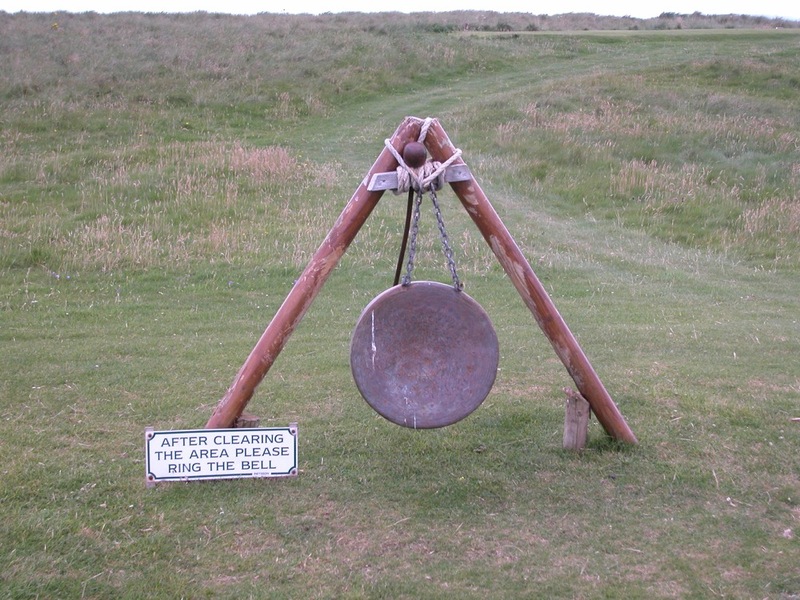 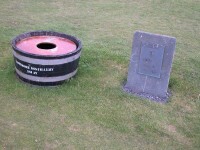 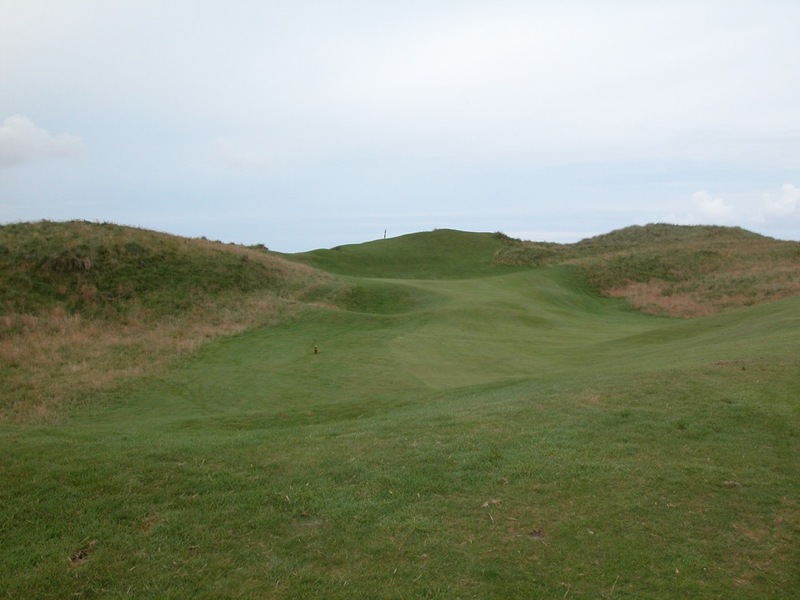 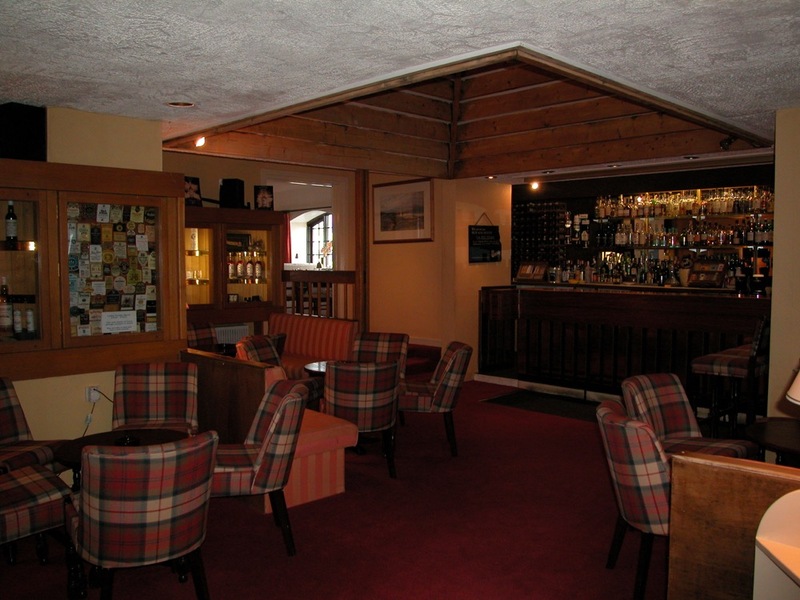 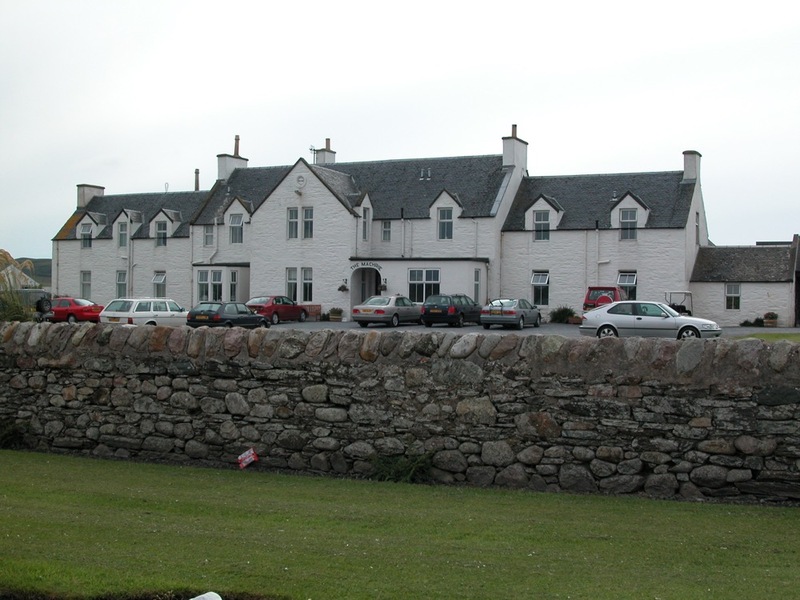 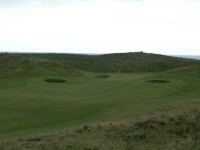 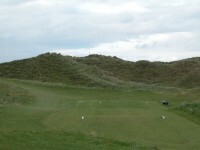 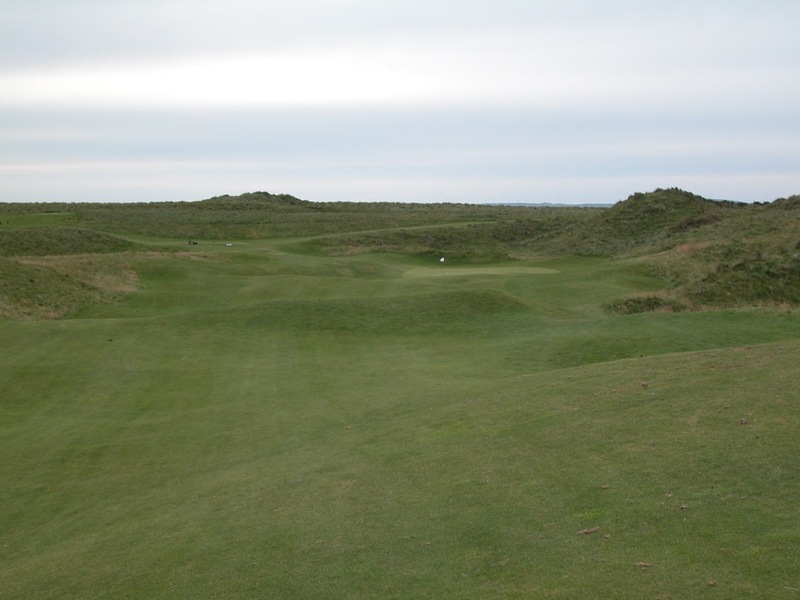 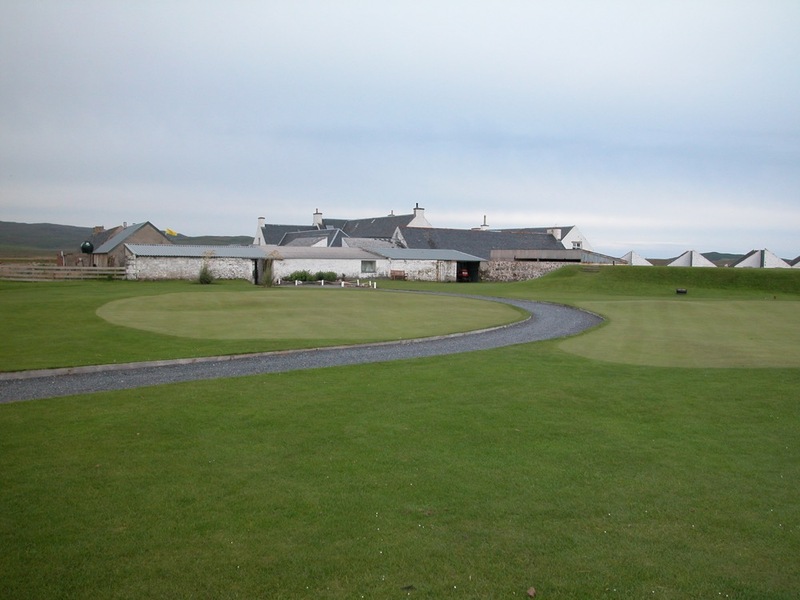 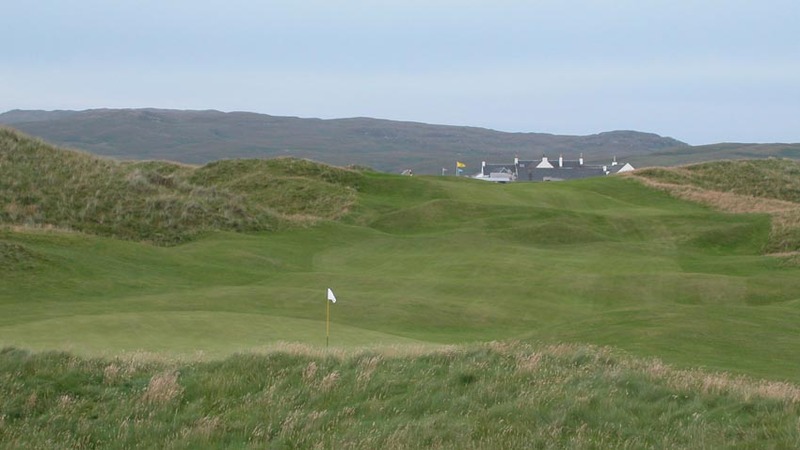 Here, you will find a time-capsule of a golf course, as The Machrie Golf Links has been virtually untouched by the hand of man since designed by Willie Campbell a century ago. 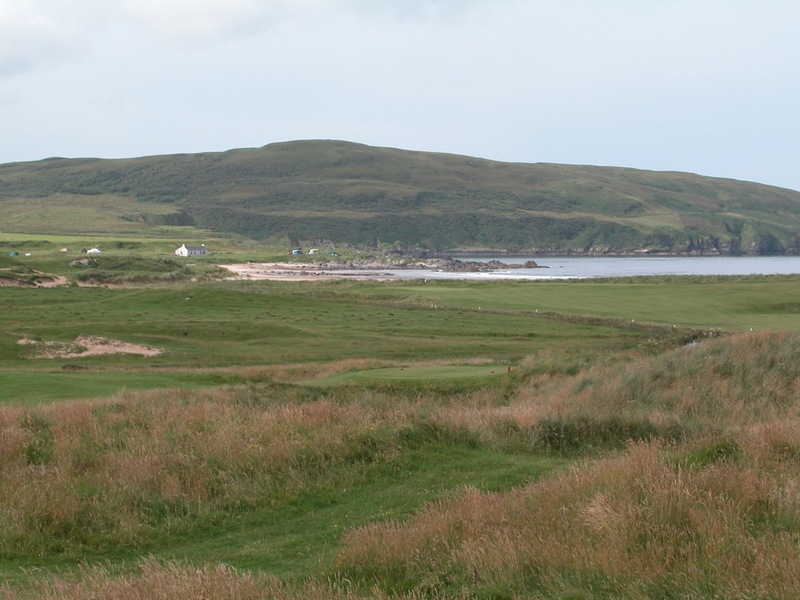 It is much easier than it seems to get to Islay, just a relaxing ferry cruise along the beautiful Scottish coast, and what awaits when you do may make you never want to leave! 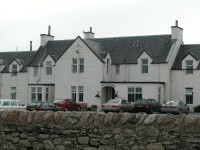 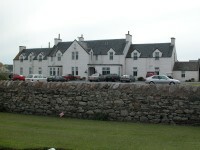 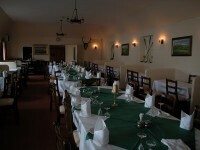 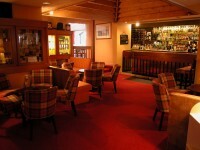 Traditional Scotland hotels, traditional and comfortable, with outstanding food and atmospheric bar; amazing Scottish whiskys, renowned throughout the world, strong and peaty, distinctive and unforgettable; incomparable Scottish settings, gloriously remote on the beautiful sea; and Scotland golf at its most traditional—enticing, captivating, enthralling, and perhaps at first maddening, with too many blind shots to list! 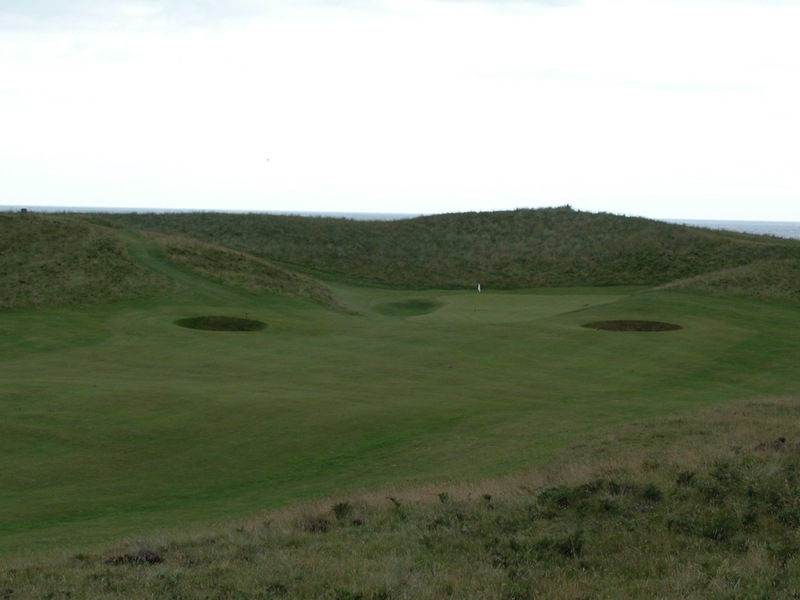 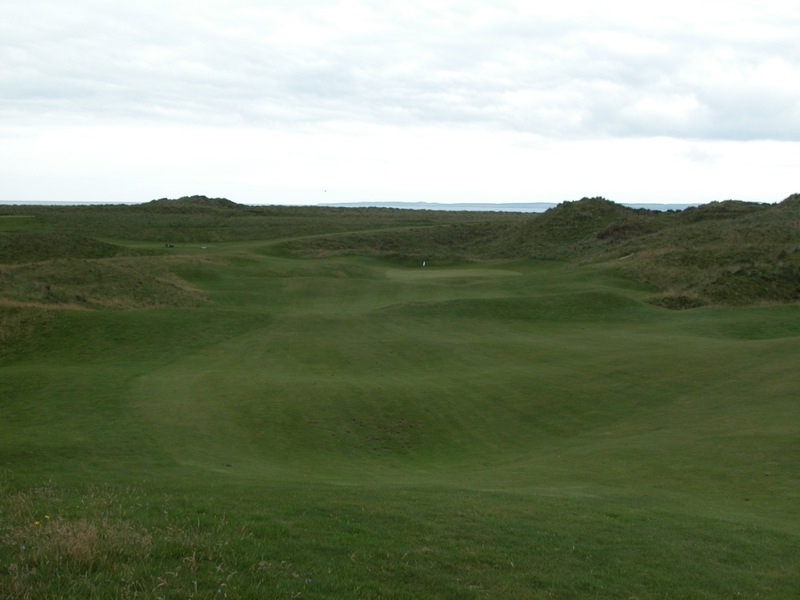 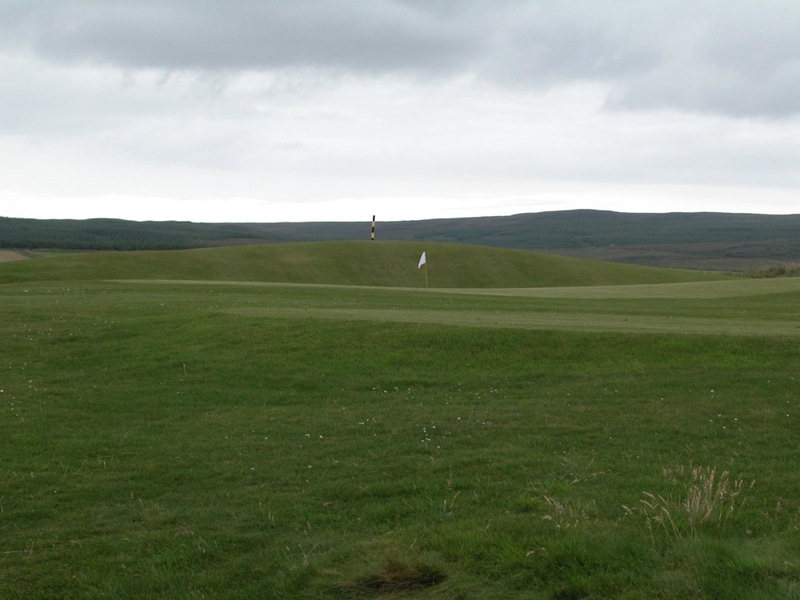 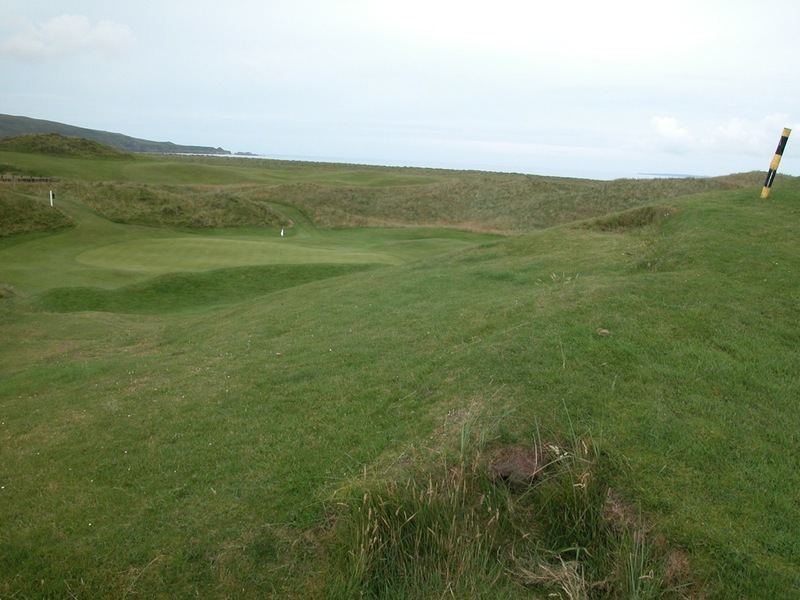 And thank goodness for that, for if The Machrie Golf Links in Scotland were designed today these wonderful, hidden green locations would have been bulldozed to make room for something much more mundane. 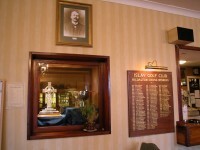 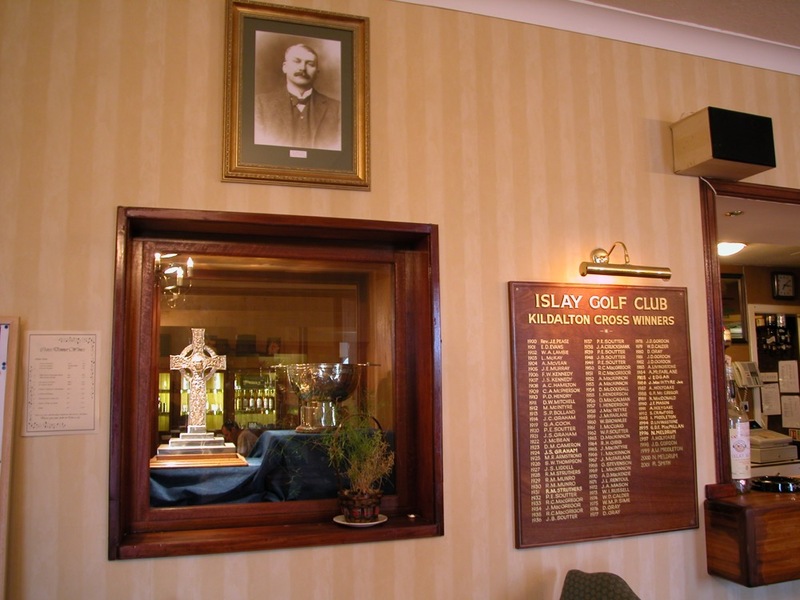 You will practically feel the ghosts of Harry Vardon and James Braid, who played in the 1901 Machrie Open for the then-largest purse in history, £160! 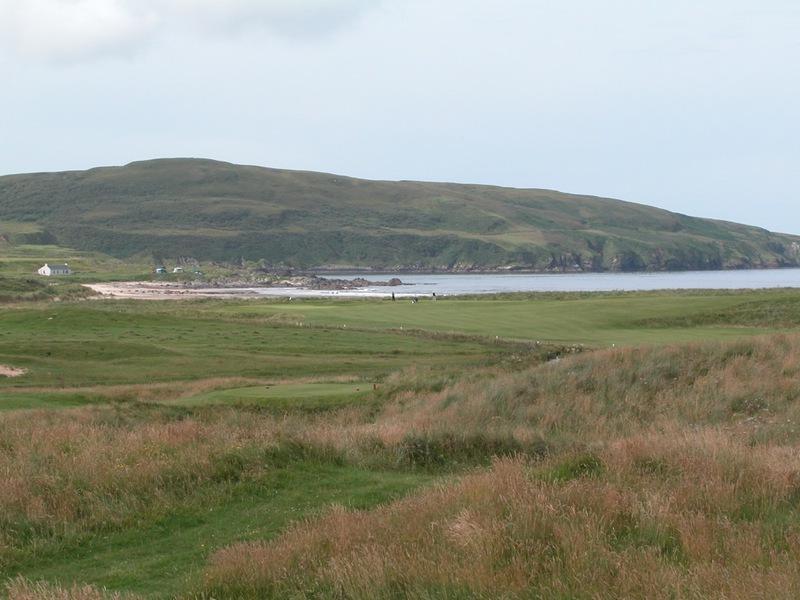 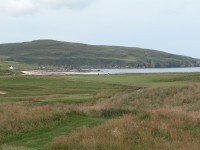 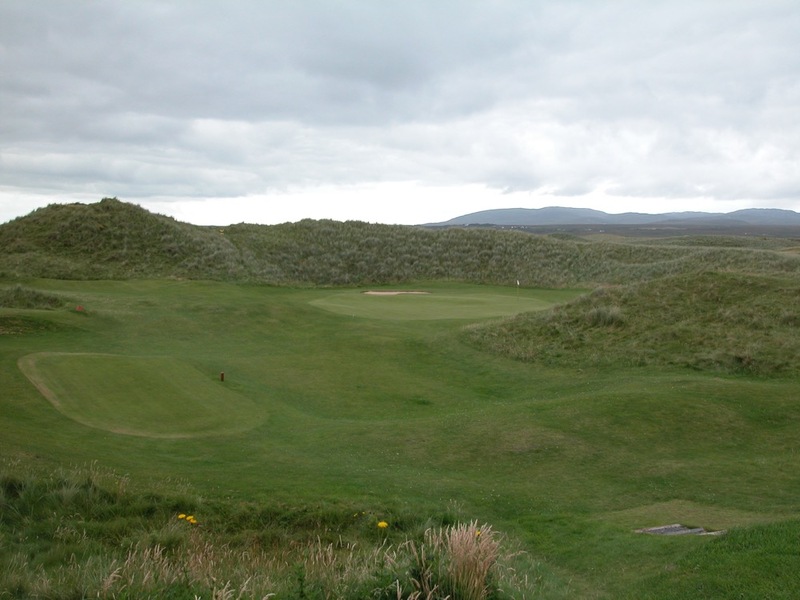 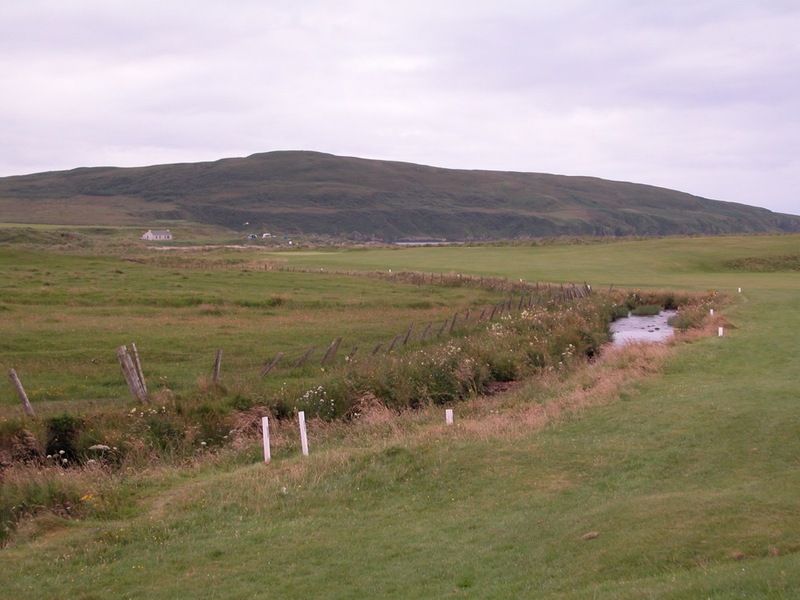 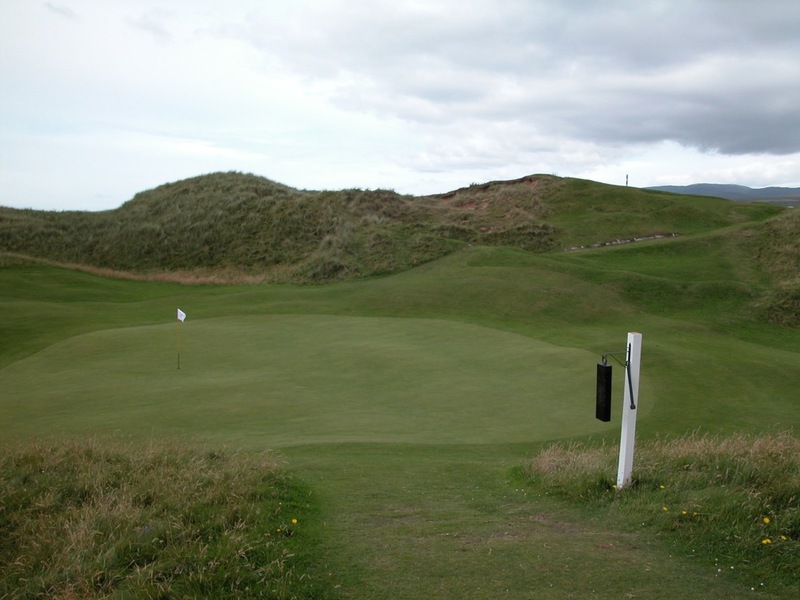 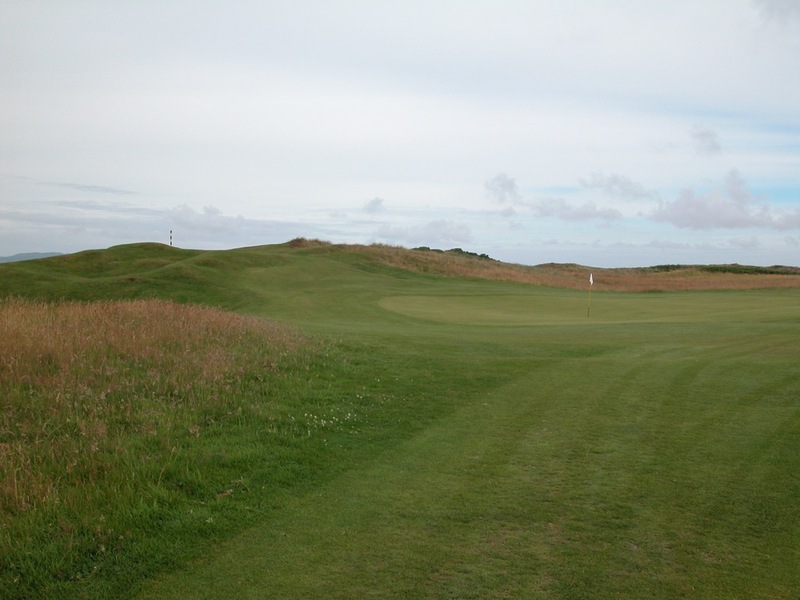 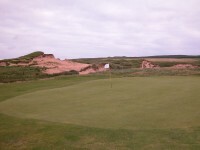 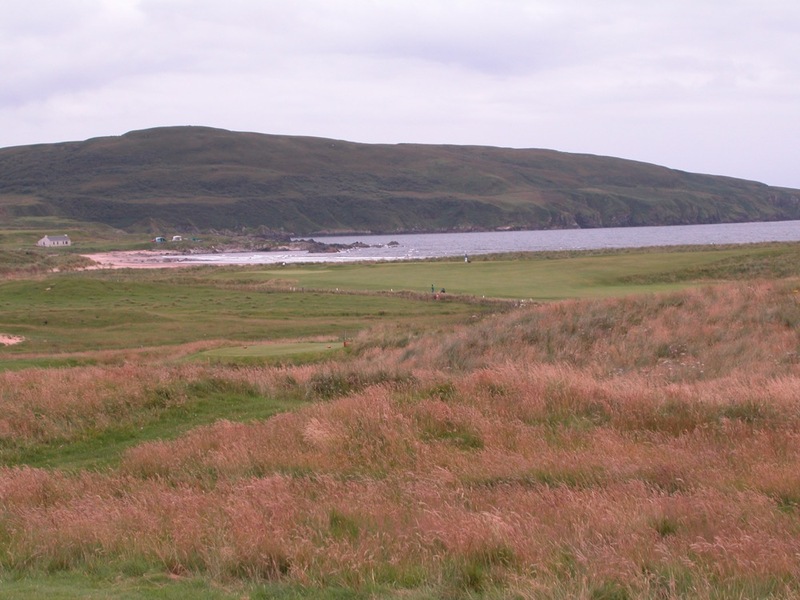 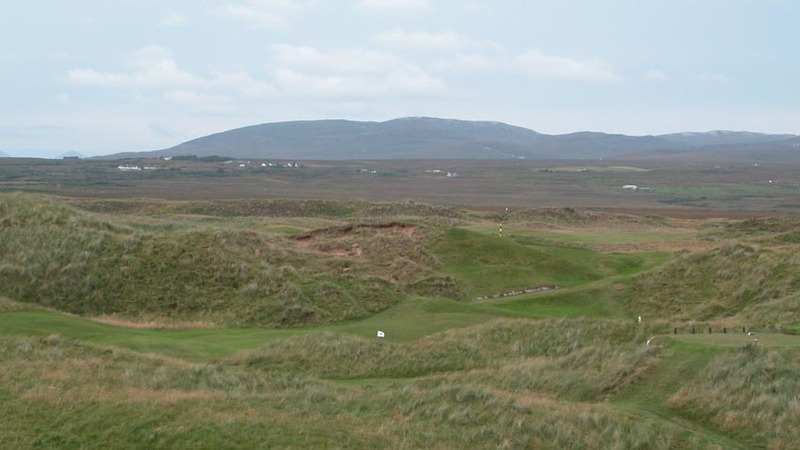 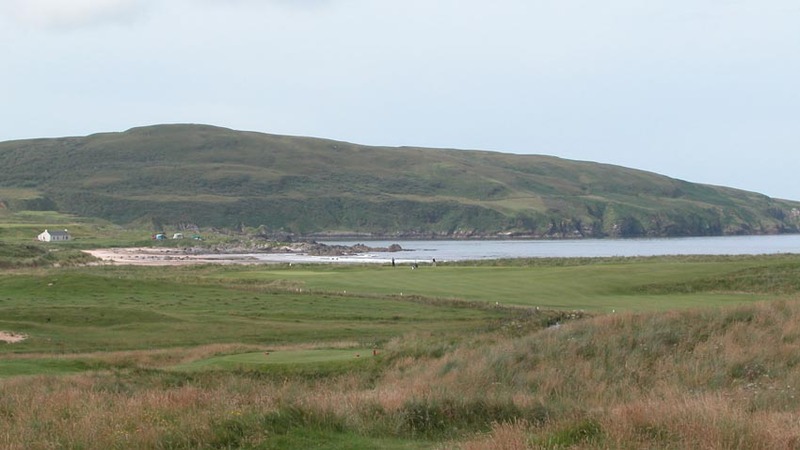 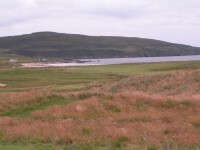 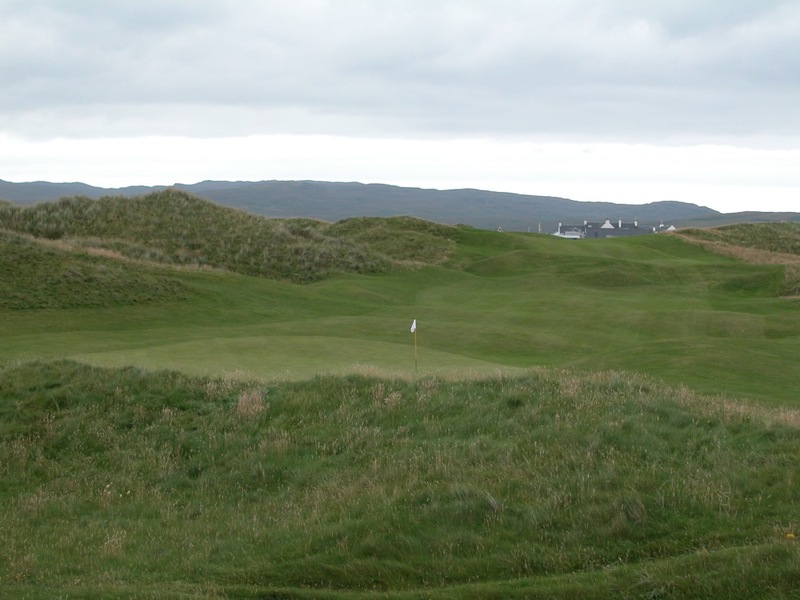 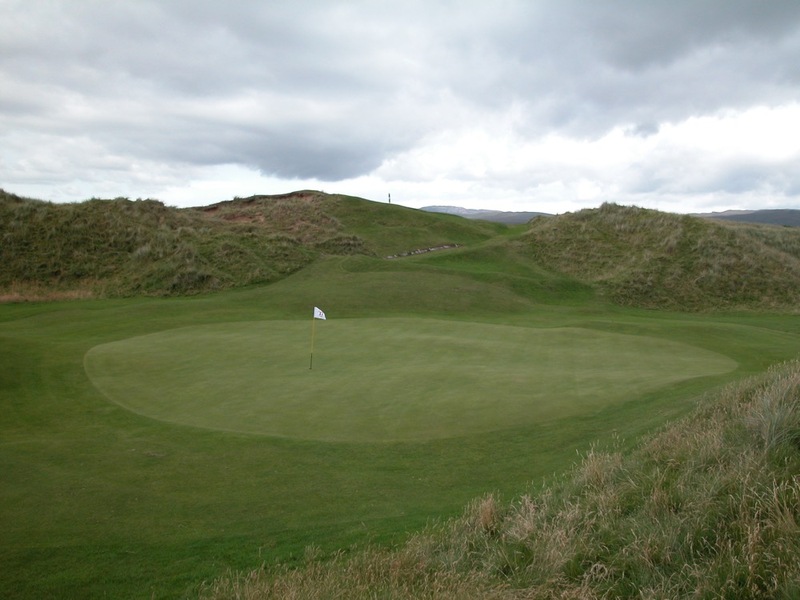 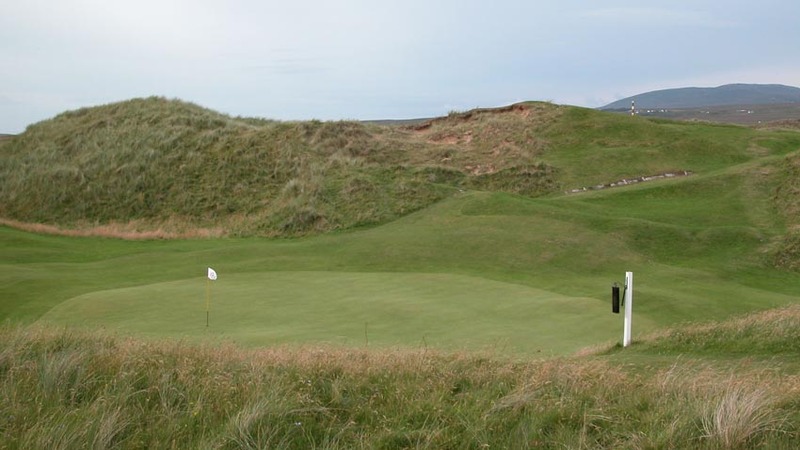 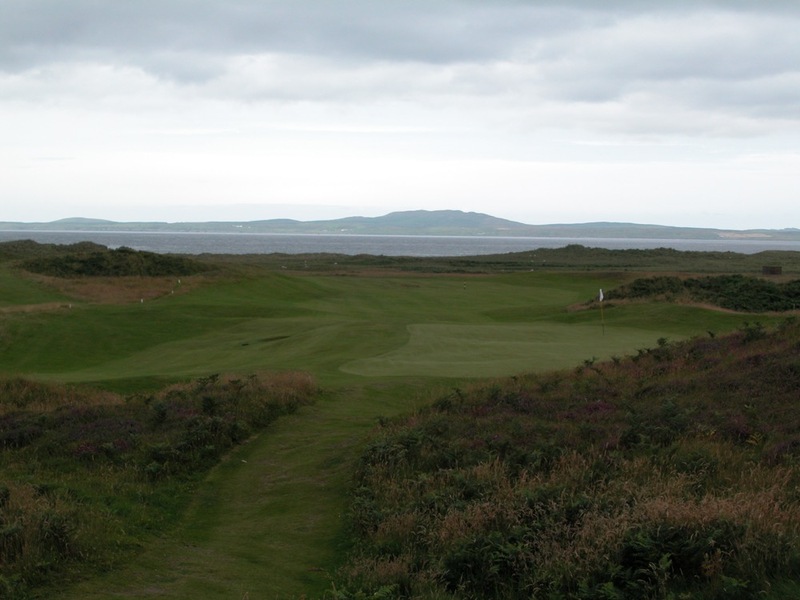 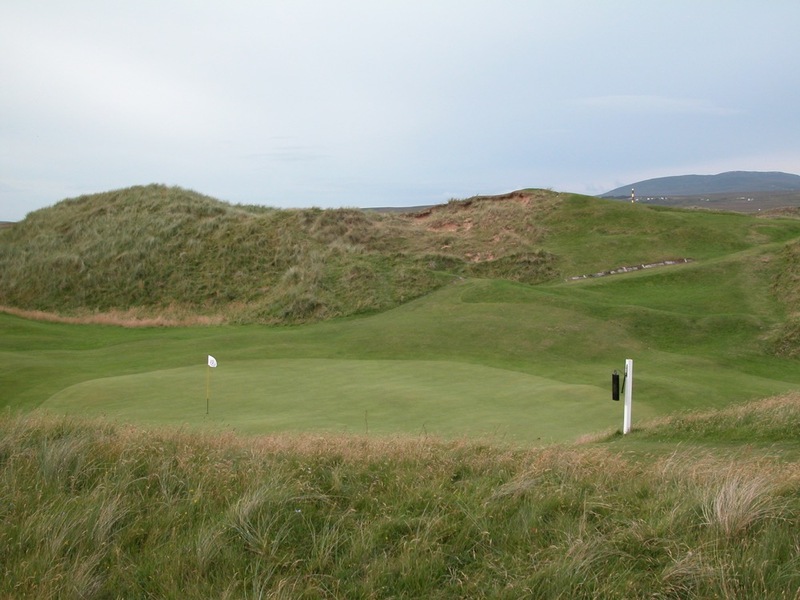 Prize money may have changed since that day at The Machrie Golf Club, but the course surely has not with its natural dunes, blind shots, and beautiful views over the bay. 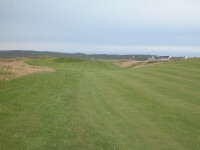 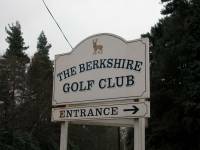 Unless you’re unlucky, you’ll be the only group out on the course! 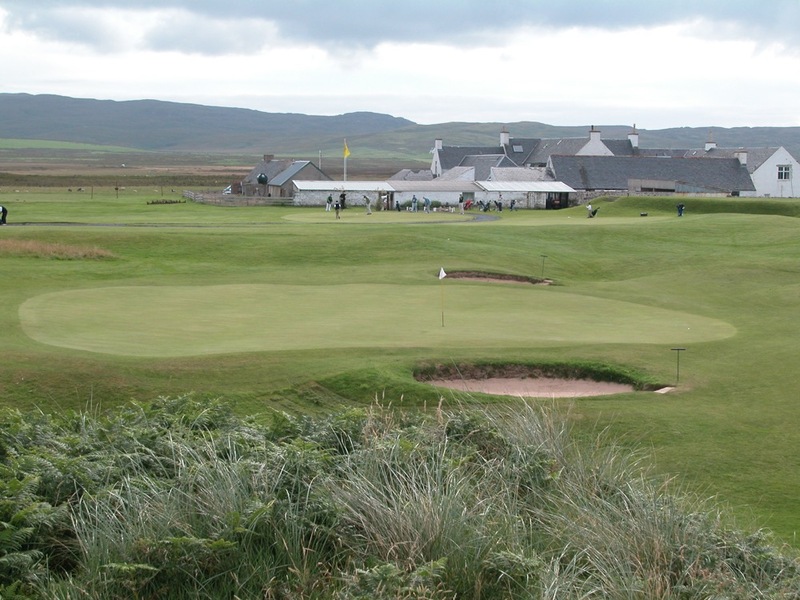 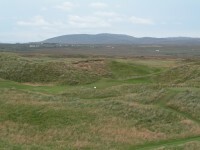 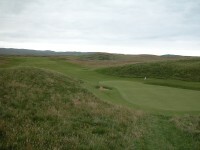 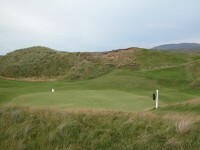 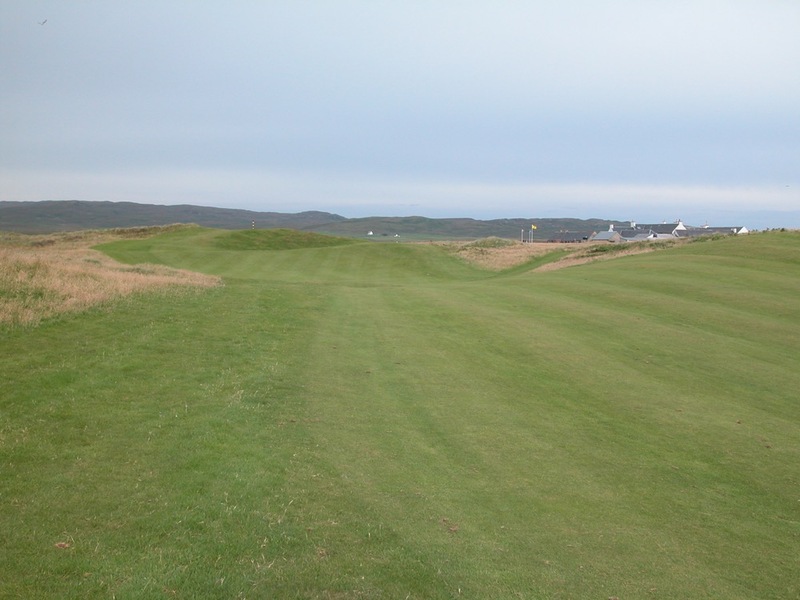 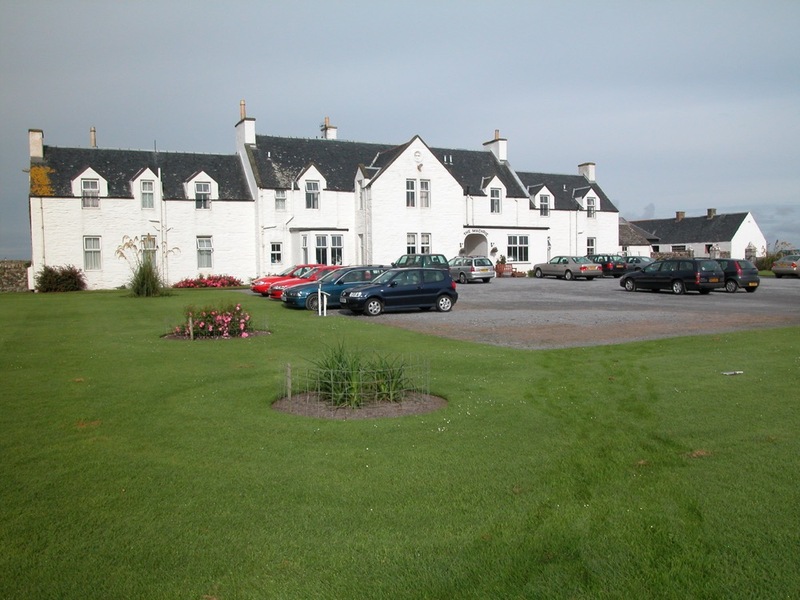 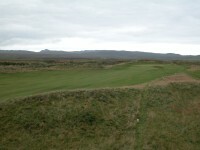 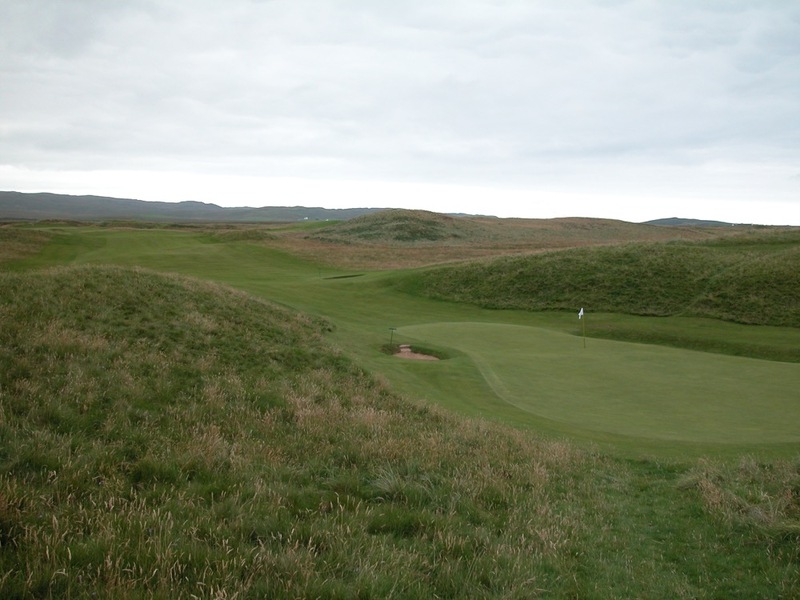 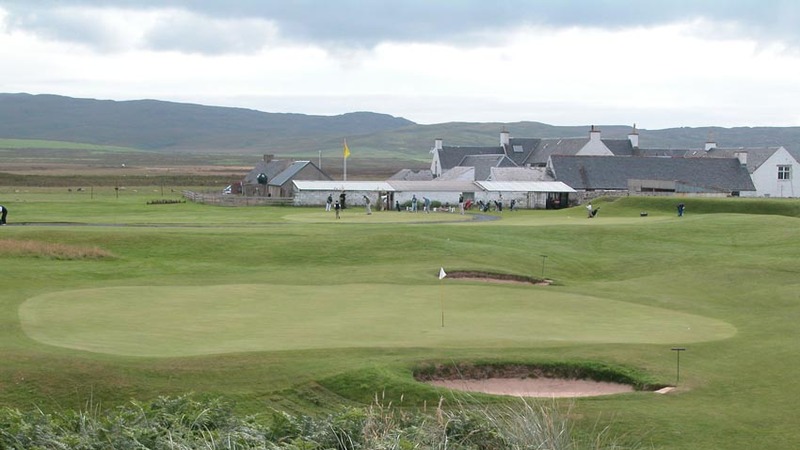 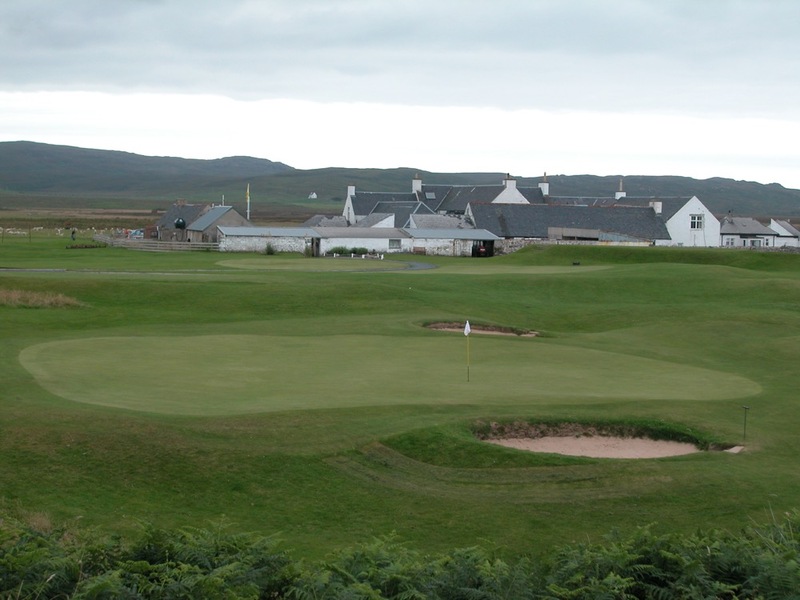 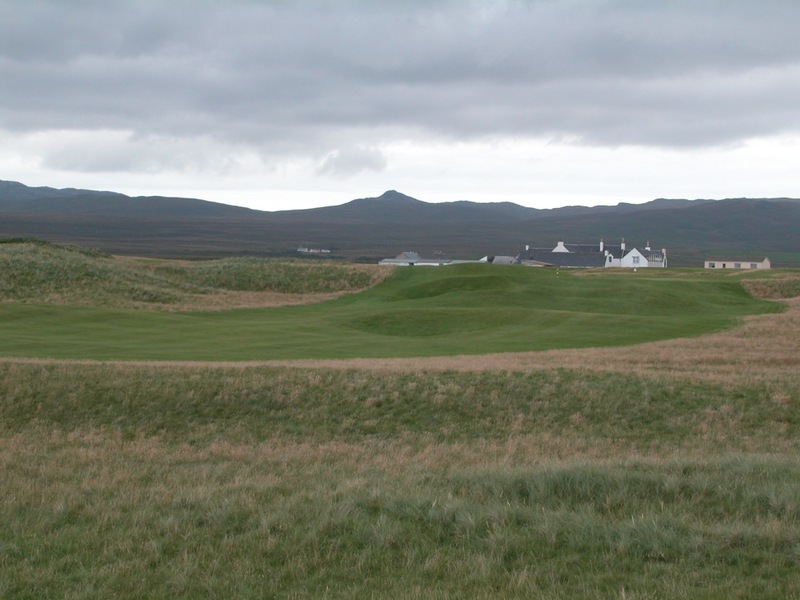 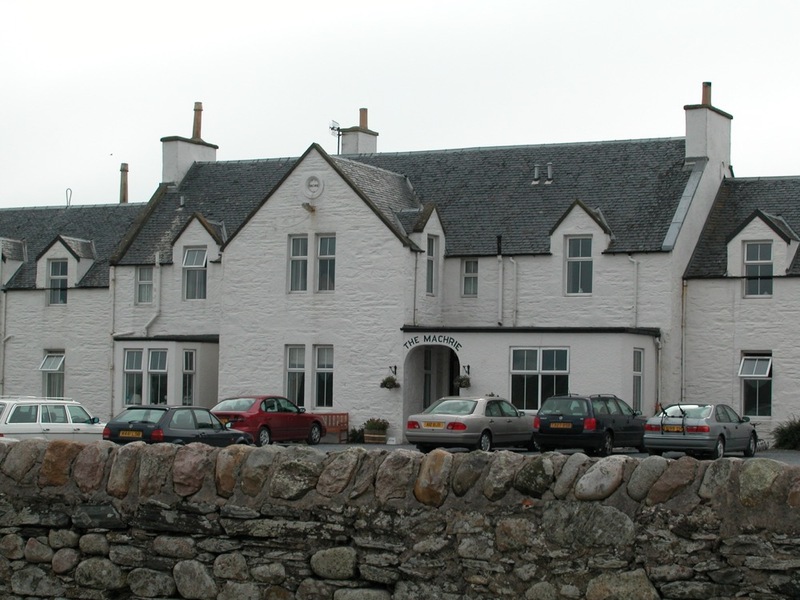 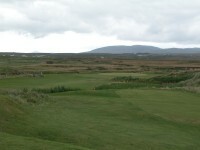 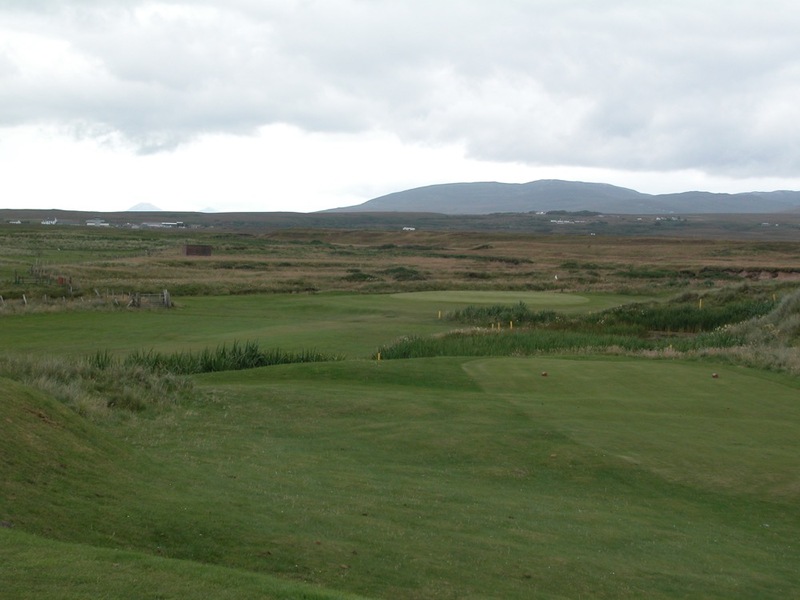 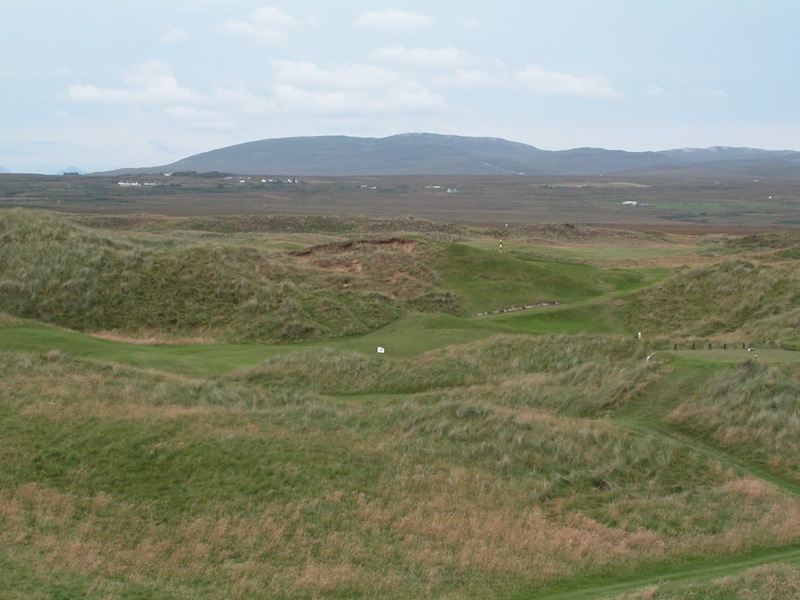 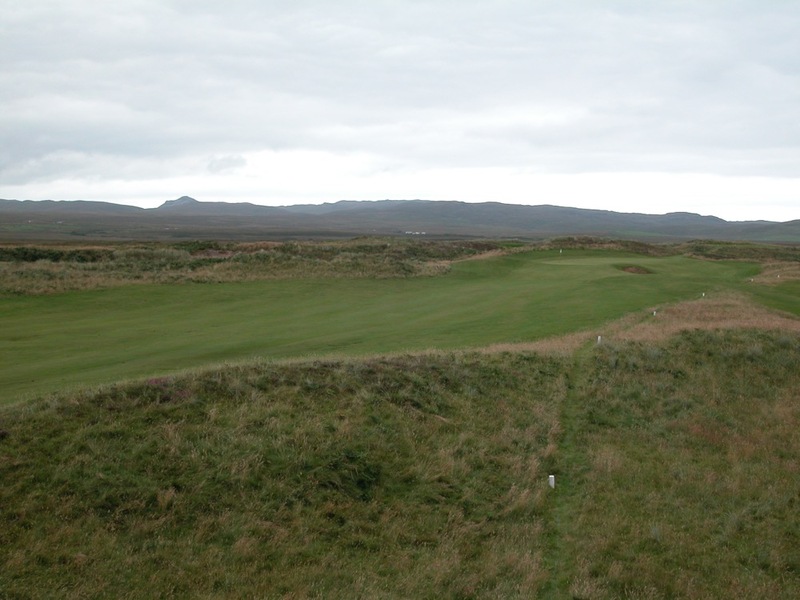 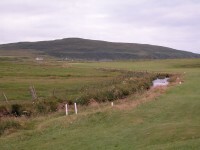 “Keep Your Temper,” per the motto of the Islay Golf Club which plays over The Machrie Links, and enjoy the difficulty, the mystery, the privilege to play holes at The Machrie Golf Links of the sort you may never see the likes of again! 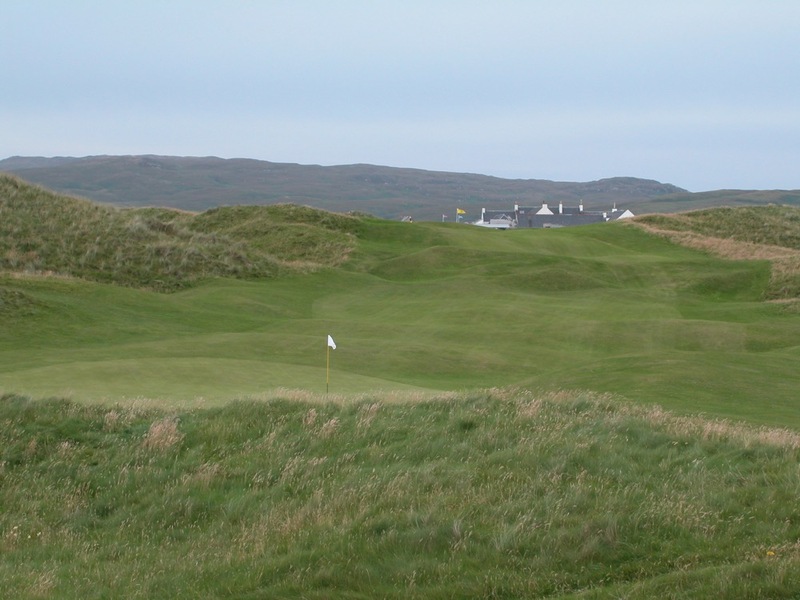 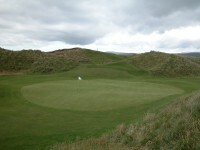 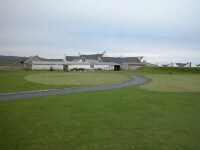 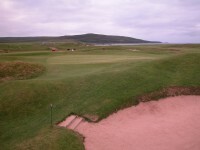 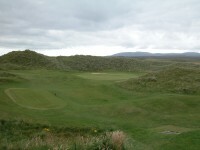 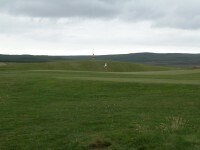 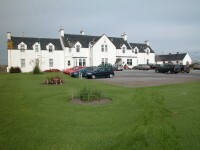 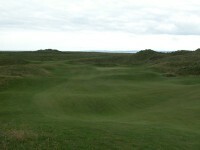 To play golf at The Machrie Golf Links on your Scotland golf journey is to do something simply amazing.